Healing Yoga Chamber Metal Pendulums is the best healing product. These Pendulums are connected with a Spiritual world. 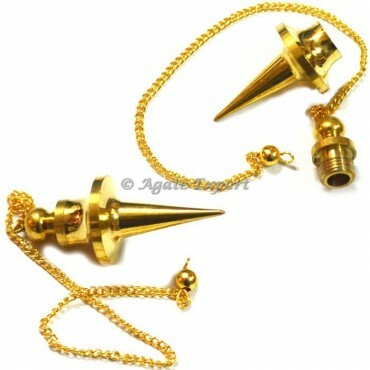 This pendulums gives you the good and positive vibration. Place the order for this beautiful Healing yoga chamber Metal pendulum only at our online store Agate Export. Mix Gemstone Chakra Faceted Pendulums. Black Obsidian 6 Faceted Pendulums.